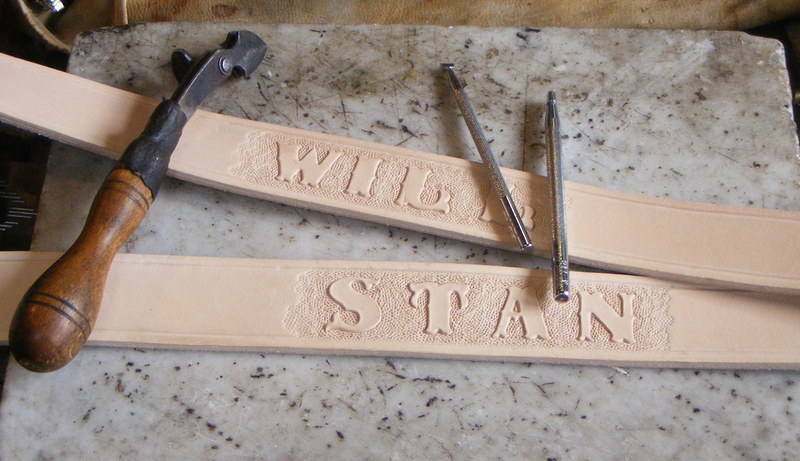 We make plain , hand carved or stamped belts including lettering [ your name etc ] . 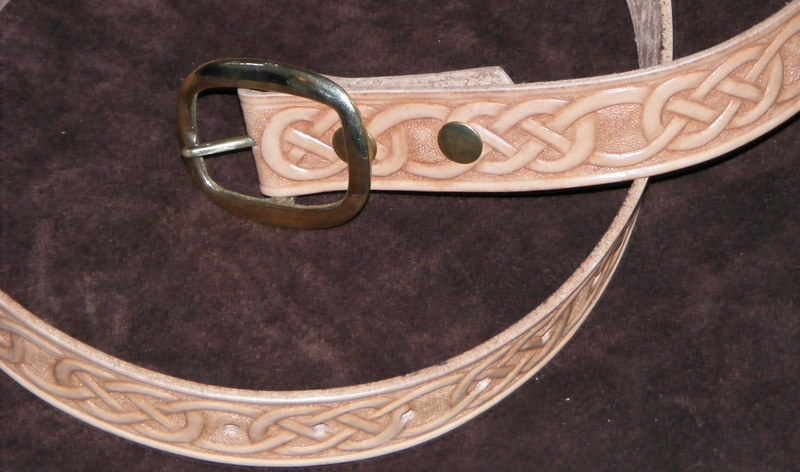 All tooled or stamped belts can be made to your description size and colour . All stitched belts are saddle stitched with Barbour linen thread. prices of buckles . We also make belts for a buckle you may already have. 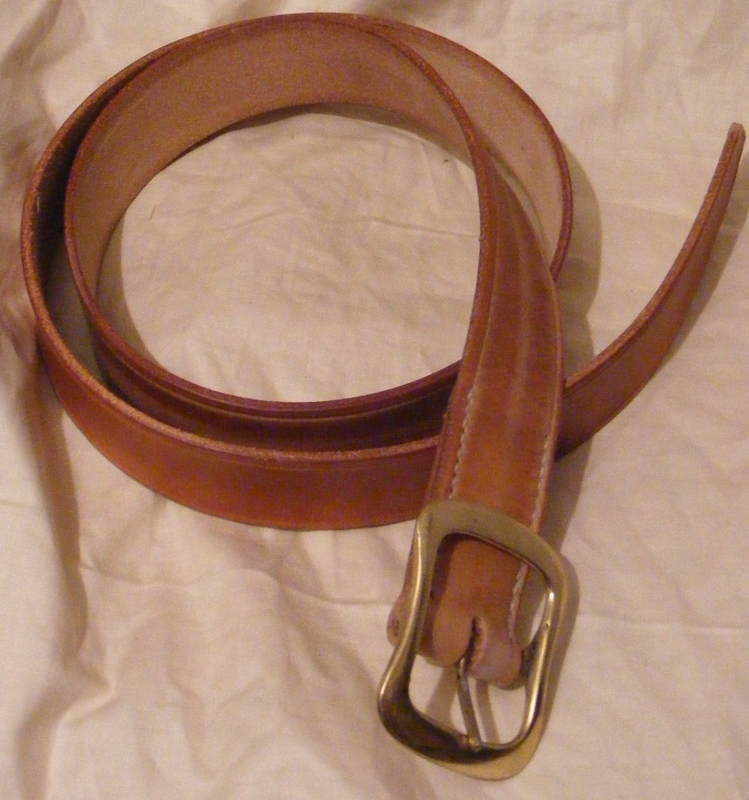 We can also repair your belt. We can also make children's belts to order, these can be customised with the childs name etc . New buckel end repair to a belt. New belts to original buckles. 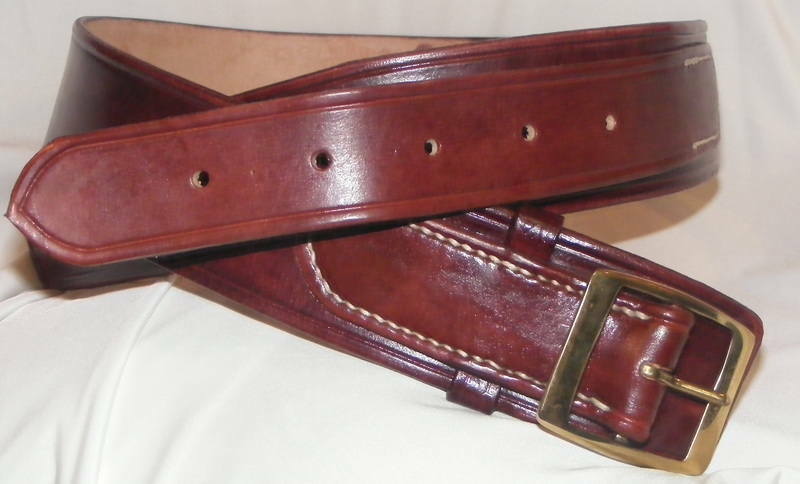 Traditional oil finished belts in 1 1/2in . 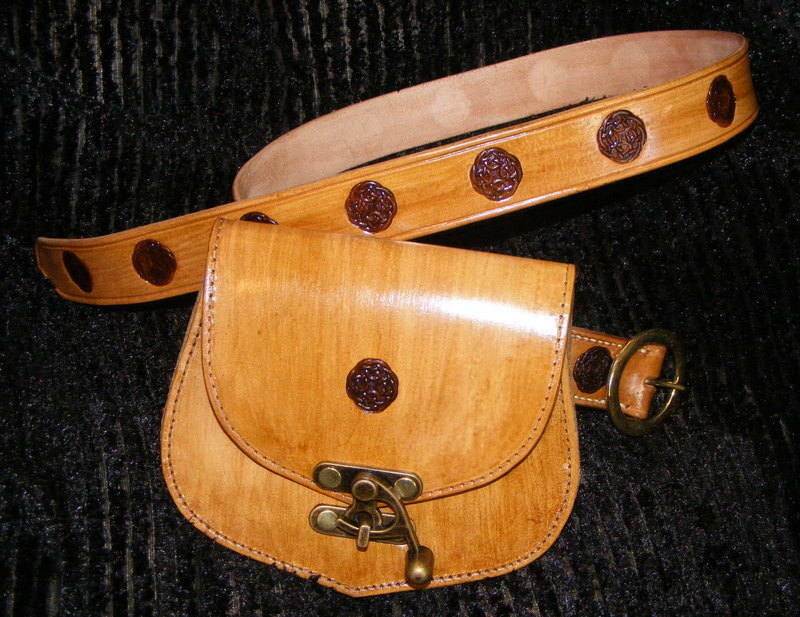 2in ladies belt with strap and buckle . your ideas and we will make it for you . All prices on request . specially shaped tools and knifes , we can make most patterns , the choice is yours . 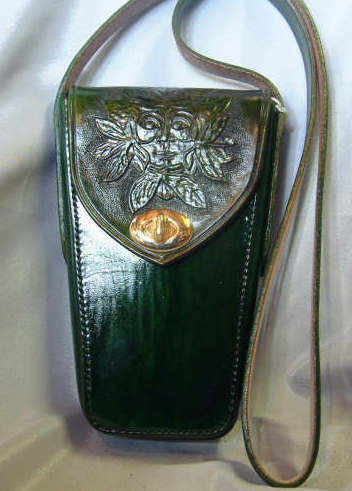 Stamping , is when we stamp images or lettering in to the belt with a pattern stamp . we can make them in most colours , so please let meknow your ideas . Belt colours and finishes . All these colours can be made as plain or stamped belts with or without lettering . 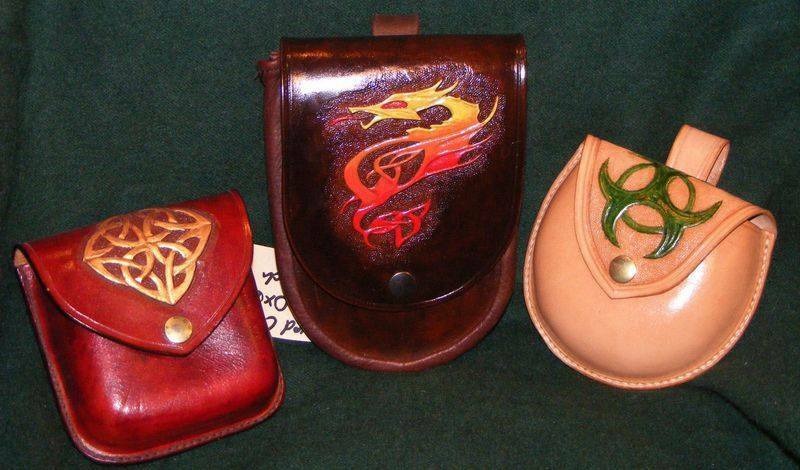 We can also make pouches to match you belt . Please see the pouch page .